In two years we traveled over 40,000 miles, visited 25 national parks, and worked full time along the way. The life of a digital nomad is a life of career freedom. Yes, you still have priorities and obligations providing value to a business, but you’re doing so in a way that allows you the freedom to live the way you want. Our intention with this guide is to help inspire and educate people to live an alternative lifestyle, one that pursues new experiences, curiosities, and magic. 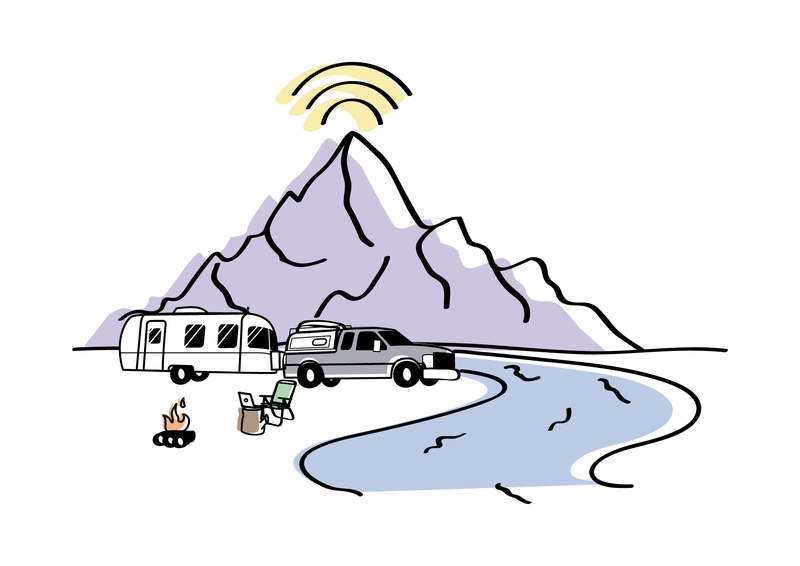 Through this guide, you will become equipped with the knowledge and tools to begin a traveling remote-working life. It is going to be fun and challenging, pushing you outside of your comfort zone. But that is why you’re here, right? Ready to become a digital nomad? Fill out the form below and start your transformation today!